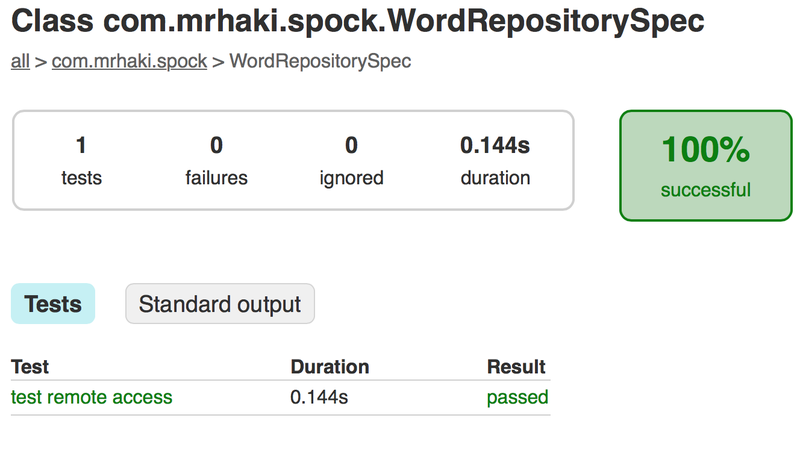 One of the lesser known and documented features of Spock if the external Spock configuration file. In this file we can for example specify which specifications to include or exclude from a test run. We can specify a class name (for example a base specification class, like DatabaseSpec) or an annotation. In this post we see how to use annotations to have some specifications run and others not. The external Spock configuration file is actually a Groovy script file. We must specify a runner method with a closure argument where we configure basically the test runner. To include specification classes or methods with a certain annotation applied to them we configure the include property of the test runner. To exclude a class or method we use the exclude property. Because the configuration file is a Groovy script we can use everything Groovy has to offer, like conditional statements, println statements and more. Spock looks for a file named SpockConfig.groovy in the classpath of the test execution and in in the USER_HOME/.spock directory. We can also use the Java system property spock.configuration with a file name for the configuration file. @Remote  // Apply our Remote annotation. // to only look for annotations. // specs with @Remote are not run. // This task belongs to Verification task group. 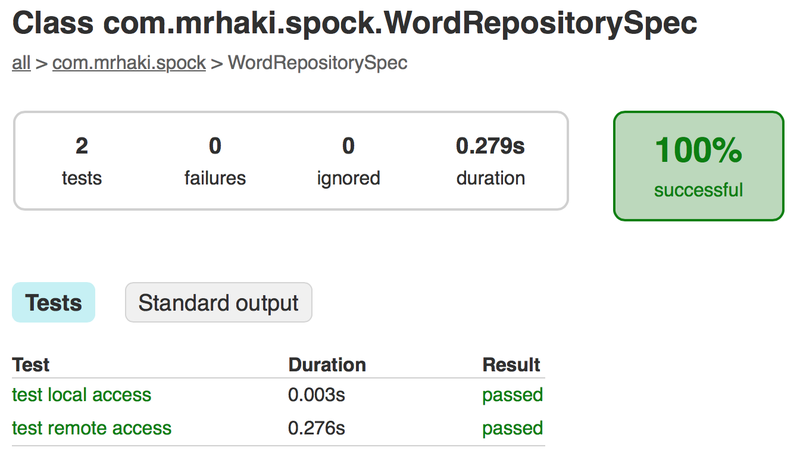 Written with Gradle 2.6 and Spock 1.0-groovy-2.4.